Like it or not, every one of us is in a spiritual war. God is for us and the devil is against us. Whoever we cooperate with is the one who is going to have control over us. There are no discharges in this war and ignorance about the extent of this war only aids our enemy. He loves to work covertly since the only weapon he has is deception. In this teaching Andrew exposes this war and our enemy for what he is. God created Lucifer, a powerful, godly angel. But man made the devil what he is today. Satan is not using some superhuman angelic power to fight us. He is using the power and authority God gave to mankind. Therefore, Satan can't do anything to us without our consent and cooperation. Psalms 89:34 says that every word that comes out of God's mouth is a contract and He will never violate it. 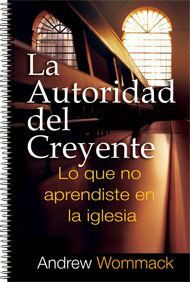 Therefore, when the Lord gave us authority He limited what He will do to what we will do. He will not rebuke the devil for us. That is our responsibility. This teaching will answer many questions about why bad things happen. 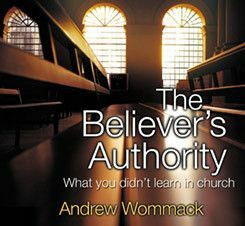 Part of the authority God has given us is to preach the gospel to the lost. This means that God won't do what He told us to do. He won't save people just through prayer. They have to hear the gospel and believe since faith comes by hearing God's Word. 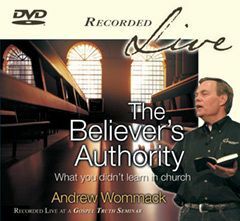 In this teaching Andrew teaches the right way to pray for the lost. A police officer doesn't make laws. He just enforces them. A law enforcement officer's ability to exercise his authority is dependent on his knowledge of the laws. 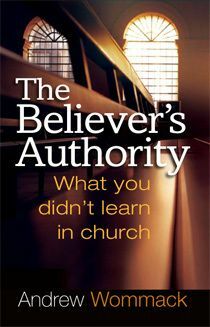 Likewise, a believer's ability to exercise his authority is proportional to his knowledge of God's laws. 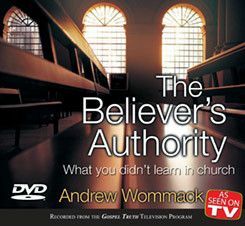 On this tape Andrew reveals the concept of God's kingdom being governed by laws and shares what some of those laws are. Satan's only power is deception. That's why knowing the truth sets us free. The way some Christians are doing spiritual warfare in the atmosphere is inspired by the devil. It's a diversion to keep us from fighting the real battle which is right between our ears. 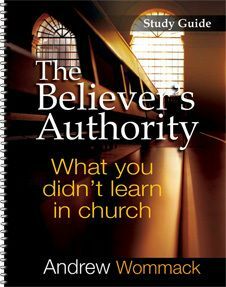 This teaching will turn you from the distractions our enemy tries to sidetrack us with and will keep the main thing the main thing.